The Sayre Memorial Hospital in Sayre, Oklahoma. The Journal Record's Ted Streuli talks with KGOU's Jacob McCleland. A commercial brokerage firm has purchased a shuttered rural Oklahoma hospital and plans to accept new patients by the end of June. 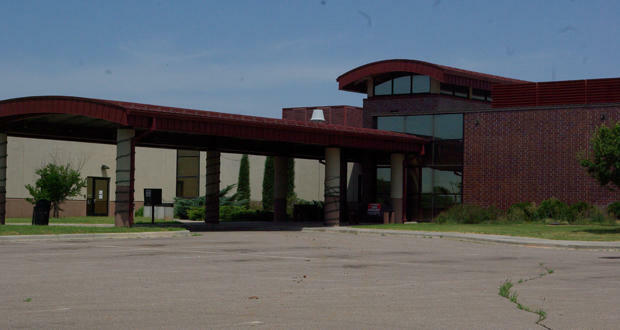 Healthcare Properties Transaction Group of Oklahoma, LLC, purchased the building and licenses of the renamed Sayre Community Hospital from the Sayre Memorial Hospital Authority on May 22. The announcement of the transaction was made on Tuesday. The purchasing group’s CEO is Bob Hicks, according to the Journal Record’s Sarah Terry-Cobo. Hicks is finalizing contracts with surgeons and created an agreement with St. Anthony’s for a videoconferencing hospitalist program. Some of his staff members previously worked at the former Sayre Memorial Hospital and have returned. He is also the CEO of New Hope CDU, an inpatient alcohol and substance abuse treatment program. His experience in the health care industry motivates him to make the new hospital different, he said. The hospital in Sayre closed in February 2016 because the hospital trust authority was unable to renegotiate payments with bondholders. The city took $2 million in bonds to build a surgery center in 2013. During his weekly conversation about business in Oklahoma, Journal Record editor Ted Streuli said it’s rare for a vacant rural hospital to find a buyer. Rural hospitals have been struggling for several years in Oklahoma. Streuli thinks the positive news out of Sayre is an anomaly, and not necessary a sign of good things to come for rural hospitals. “The city invested in the hospital through that bond issue we talked about, and they have to pay that money back. So there’s a pretty big incentive to make it work,” Streuli said. Jacob McCleland: Ted, first, who purchased the hospital in Sayre? Ted Streuli: Well, it’s called Healthcare Properties Transaction Group of Oklahoma LLC, and it’s a group of mostly unnamed investors who bought the property and licenses from the Sayre Memorial Hospital Authority. McCleland: What did they see in this? Why did they choose to buy the hospital? Streuli: The physical plant is in good condition. It’s Class A space. The building is nearly 55,000 square feet. So they think this is one they can revive. McCleland: Why did the Sayre hospital close in the first place? Streuli: The hospital closed just over a year ago, in February 2016, because the hospital trust authority couldn’t renegotiate payments with bondholders. The city had taken out $2 million in bonds to build a surgery center in 2013. McCleland: Journal Record reporter Sarah Terry-Cobo writes that vacant rural hospital like this are rarely purchased. Why is that? Streuli: If a hospital in a rural area and can’t make it financially, the facilities often become run down and it’s hard for an investor to see much potential -- there are still the same number of potential patients as there were when the previous operator failed. McCleland: So how are they going to staff up for the reopening of the hospital? Streuli: Bob Hicks is the CEO and managing director for this group and for the hospital. He is finalizing some contracts with surgeons and has created an agreement with St. Anthony’s in Oklahoma City for videoconferencing with a hospitalist. Some of his staff members previously worked at the former Sayre Memorial Hospital and they’ve come back on staff. Right now they’re waiting for two new pieces of equipment to be delivered, then will start accepting patients by the end of this month. McCleland: Overall, I mean, is this a good sign for rural hospitals in the state, which really have been struggling recently, or is this more of an anomaly? Streuli: This is likely more of an anomaly. The city invested in the hospital through that bond issue we talked about, and they have to pay that money back. So there’s a pretty big incentive to make it work. McCleland: Let’s switch gears to Tate Publishing. 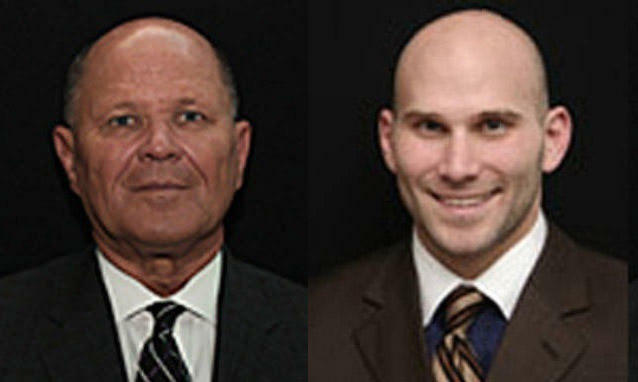 The father-and-son operators of that book and music publishing businesses, Richard and Ryan Tate, they face embezzlement, extortion and racketeering charges. Their customers have filed nearly 900 complaints, and are seeking a class-action lawsuit against them. But that may not happen. Why not? Streuli: They’re going to have trouble finding a law firm to take it on; the chances of recovering anything from Tate looks pretty slim. McCleland: Why are some lawyers hesitant to file class-action lawsuits here in Oklahoma? Streuli: Litigation is expensive, and in a class action the up-front costs are typically borne by the law firm. That means they attorneys have to feel pretty confident about getting a settlement or a judgement big enough to cover their costs plus some compensation for the victims. In this case, it doesn’t look as though there are any assets to go after. The Tate’s have already lost big lawsuits brought by Xerox and other vendors and they’ve been indicted – there probably isn’t any money there to get for the victims or the lawyers. McCleland: So it sounds like the risk there is there just isn’t much of a benefit for the law firm then. Streuli: Right, it’s a big risk. They could spend a lot of time and money finding plaintiffs and preparing the case, but even if they win they could still lose it all if there’s nothing available to collect. So no one’s likely to pursue a defendant who has no way to pay. The Oklahoma Attorney General's office has filed charges against the owners of a vanity publishing business for allegedly extorting its customers. Attorney General Mike Hunter announced that Richard Tate and his son Ryan Tate, who run Tate Publishing and the Tate Music Group, have been charged with eight felonies and one misdemeanor, including counts of extortion, embezzlement and racketeering. The hospital in the small town of Sayre closed its doors in February after municipal trust authority members weren't able to renegotiate bond payments.